Here at Abacus Windows and Conservatories we do not want you to be left out in the cold with poor quality windows. We offer you a solution to your replacement window needs by supplying and installing the highest quality products. Abacus Windows and Conservatories specialises in replacement window services for conservatories and also offers replacement services for all other windows and doors, fascia boards, soffit boards and guttering. 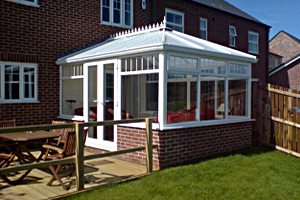 Abacus Windows and Conservatories we offer our customers the highest standard at all times. We offer a professional, efficient and friendly service and pride ourselves on catering for our customers’ needs. Customers who have used our replacement window services provide us with 100% positive feedback for our first-class products and service. 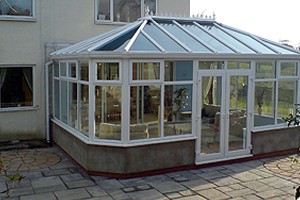 Based in Durham, Abacus Windows and Conservatories was set up 14 years ago by joiner Richard Parsons and his wife Mary Parsons. We offer a no-obligation free quotation service from your home or business. Richard Parsons has extensive knowledge having had 26 years experience in the profession. Richard personally carries out the free quotation service and offers expert advice whilst measuring up. When it comes to installing our high-quality products, our two teams of fully trained installers ensure that we offer you a highly professional, efficient service at all times with the best guidance from the beginning right through to the end.